Two wells in the Larkin Waterworks District are undergoing improvements for better well protection as per Interior Health Authority and recommendations from Golder Associates Inc. Larkin Waterworks is undertaking installation of routine water level recording instruments and well raising and casing (above ground) installations to comply with wellhead protection requirements. This is a solid first step in Groundwater Protection Planning and contributes information to the Groundwater Assessment of the Okanagan Basin. 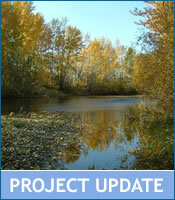 This SHIM project collects data on the health of riparian areas, fisheries values, human modifications, water intakes, storm water outfalls, erosion and other water quality concerns for creeks in the rural Vernon OCP area. Projects that contribute data to large regional efforts are a priority for this grant program and this project complements and extends work already done in the North Okanagan. The data is used by planners at the Regional District; especially as existing stream maps are not highly accurate. 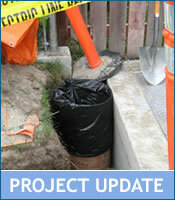 This project is furthering the City of Vernon’s ongoing toilet rebate program in order to reduce domestic water consumption and load on the wastewater treatment facility. Toilet rebate programs are a tangible water conservation measure that can increase awareness of other measures for water conservation. The OCCP is GPS mapping shoreline to inventory the ecosystem characteristics, and filming fly-over video footage. This project is a very strong partnership as the participants in the cooperative are able to use resources and methodology previously developed by other agencies in addition to receiving in-kind resources to carry out this project. This project adds to information already collected and picks up where other efforts left off, thus completing more basin wide data. Results are very useful for local government planners. This project is a portion of the larger Source Water Protection Planning initiatives for Duteau Creek and is GPS mapping fencing, cattle access points to streams, gates and cattle guards. Once the inventory of structures is complete, a monitoring, maintenance and work plan is formed to reduce contamination risks to the water supply. GVS has full cooperation with the ranchers in the area who will be involved in creating the maintenance plan for the structures. This project has taken water samples from 10 Okanagan Lake water intakes in addition to deep lake water samples to analyze for algae and E.coli bacterial amounts. This project is a partnership among water purveyors with intakes on Okanagan Lake and has in-kind contributions from water professionals in the community. 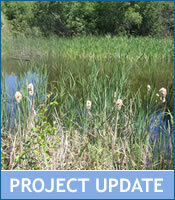 This project will improve planning for deep lake intakes and water treatment options of Okanagan Lake water. This project is conducting preliminary investigation into groundwater aquifers in the Joe Rich area to determine locations where further detailed investigation may be warranted. RDCO may incorporate other resources into this study, including the new “State of the Basin, Groundwater Report” from the Water Supply and Demand Project and additional information on groundwater development compiled by a local consultant on the Joe Rich area. As part of Peachland’s new domestic water meter installation and as a result of the Master Water Plan, the District will establish a new water conservation bylaw including rate structure to promote equitable billing and cost recovery. This project will also examine suitable sites for future water treatment plant (water quality improvements) and expansion of reservoirs (hydrologic assessment). 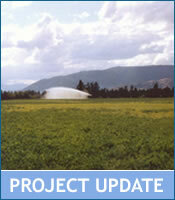 25% reductions in water consumption for domestic connections is expected in Peachland. The City of Kelowna has created a draft Landscape and Irrigation Standards bylaw to be implemented after final stakeholder review, development of public education materials and a pilot program to measure impact of the standards on peak demand. 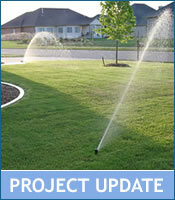 This project has been developed in conjunction with the landscape industry and other collaborative efforts. This project can be used as a model for other communities to undertake similar initiatives. 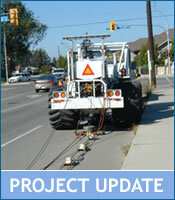 This project is a component of the Groundwater Assessment of the Okanagan Basin (GAOB); completed by researchers from the Geologic Survey of Canada. Results of the seismic data collection include bedrock layer identification and 3D mapping to create a hydrogeological model of the major aquifer systems in the central Okanagan. The model will be used for groundwater resource management and to assess aquifer vulnerability. This project is a large water science initiative within the Okanagan, contributing to the OBWB’s goals of becoming a hub for water science and research. This project is the final phase in 6 years of stream mapping to ensure all streams within City and Regional District limits are accurately mapped and inventoried. Information will be shared on the Community Mapping Network so it is available to the public, consultants and other levels of government. 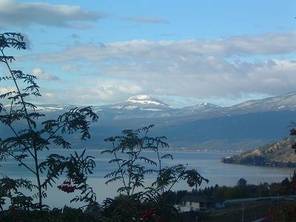 This project exhibits solid partnership and will add to basin wide data, two aspects that are given a high priority for this grant program by the Okanagan Basin Water Board. 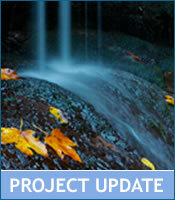 This is a continuation of groundwater protection efforts, undertaken by the Kelowna Joint Water Committee, to develop groundwater protection measures, implement these measures and establish contingency and emergency response planning processes. Groundwater Protection Planning is a component of Source Protection Planning, which is a high priority for the Okanagan Basin Water Board. This project is installing cattle exclusion fencing and establishing off channel watering structures in suitable areas in the upper watershed area of Mill Creek. Staff at GEID has committed to work with Coldstream Ranch and Ministry of Forests and Range to maintain any structures that are constructed over the course of this project. Movement and interaction of shallow groundwater flow between Ellison and Wood Lake is being clarified through this study, results of which have impacts on water users, fisheries and ecological flows for Middle Vernon Creek. 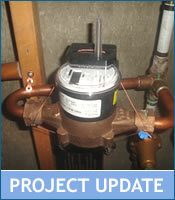 This project is considered a lead up to a Water Use Plan, to be undertaken in 2009. The Mission Creek Working Group is a multi agency group working to restore large portions of Mission Creek through large projects such as dyke set backs, re-meandering of the river channel and installation of sediment control measures. This sediment mitigation project reduces the need for flood control maintenance and improves kokanee habitat for lower Mission Creek. Four central Okanagan Irrigation/Improvement Districts are undertaking source water protection plans for their respective watershed by completing Modules 1, 2, 7 and 8 of the Drinking Water Source to Tap Assessment Guidelines. 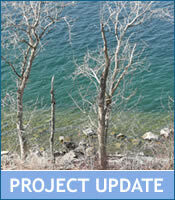 Source Protection Planning efforts are being given a high priority by the Okanagan Basin Water Board for this round of funding as the first step for watershed protection. Purveyors are working collectively to develop uniform approaches to source protection planning that can be applied throughout the valley. 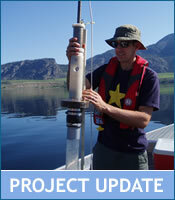 UBC-O researchers are establishing historic water quality information for Osoyoos Lake; using nutrient characteristic information from pre-settlement time will provide for more accurate and achievable nutrient targets to be established for the lake today. 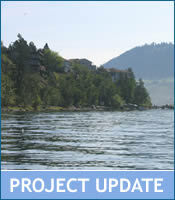 This project is in response to the outcomes of the Osoyoos Lake Water Science Forum, where Action #2 in the Summary report specifically asks for historic water quality reconstruction. Core samples taken in Spring 2008 are analyzed for nutrient content and to reconstruct historic water quality; these samples are also reserved for future analysis, particularly pesticides and chemical residues when funding permits (estimate 2009). 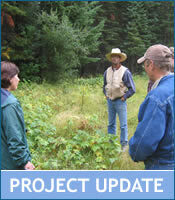 The regional district provided a pilot group of irrigators with equipment and information to schedule irrigation and then compared against a control group without access to equipment as a way of showing how much water can be saved with irrigation scheduling practices in hopes of getting all irrigators to become more efficient. A portion of this project also involves installing water meters on properties who participated in the study – helping to overcome resistance to metering. 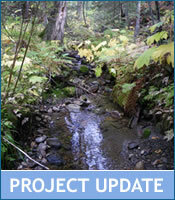 RDOS in partnership with Ducks Unlimited Canada, the South Okanagan Similkameen Stewardship Program and the Friends of Park Rill are undertaking stream restoration work in order to begin rehabilitation of this area. 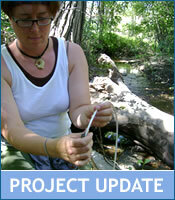 Education and outreach complements this program in order that restoration efforts can be maintained and enhanced. RDOS is completing foreshore inventory mapping for Skaha Lake, using the Foreshore Inventory Mapping methodology and tools previously developed throughout the province. This is also the same technique used for the North Okanagan foreshore mapping project. This project contributes data to a large regional initiative and enhances foreshore planning and development to incorporate ecologically sensitive areas. This project is an excellent partnership as it utilizes resources in the valley already developed. District of Summerland is completing SHIM on priority watercourses in the municipality, in order to better assist planning staff with guidance on environmental management decisions. This is the first SHIM project for Summerland. Projects that contribute data to large regional projects are given high priority for this grant program. SHIM has been completed extensively in the Central Okanagan Regional District, in addition to areas in RDOS and the North Okanagan, thus efforts in Summerland will complement and build upon this information. Thirsk Lake is a primary reservoir for the District of Summerland water supply where cattle access and recreation activities are threatening water quality and increasing the potential for nutrient loading and introduction of bacterial contamination. This fencing project creates a barrier for both cattle and recreational users with a maintenance plan to be carried out by the Ministry of Forest and Range. This project complements the work completed in the summer of 2007 which installed hydrometric monitoring equipment on the lower reaches of Ellis Creek and the 2006 installation of flow monitoring on Penticton Creek. 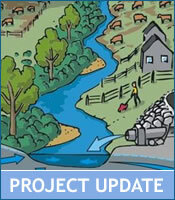 Hydrometric monitoring is of a high priority to the OBWB and contributes to the Water Supply and Demand Project. 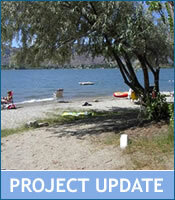 This project is re-watering Winters and Quintal Oxbows through the Summer of 2008 in order to assess the impacts to water quality for water entering Osoyoos Lake. 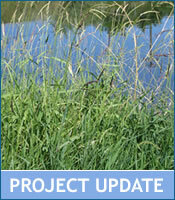 By incorporating the oxbows in the current flow pattern, the Osoyoos Oxbow Restoration Society believes that water quality will improve, so the Oxbows Restoration Society is providing updates on water quality parameters to interested agencies with continuous data collection occurring throughout the trial period.